Here at the Colorado Mountain Club, we believe that summits come in all shapes and sizes. And no matter what, when you conquer something new, you have reached a new summit, be it getting to the top of your very first 5.6 climb, summiting your 54th 14er, backpacking for the first time, or mountain biking down a trail that you’ve been too scared to before. Whatever your “summit” was this summer, we want to know about it! In our opinion, there is no summit too small. 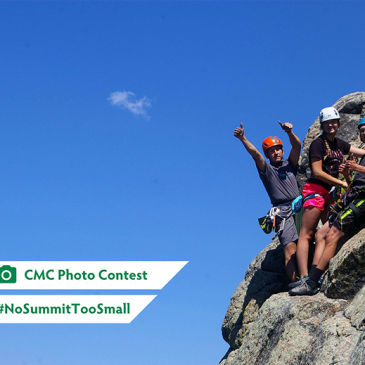 Submit your best photo of you and your friends conquering a “summit” for your chance to win a bunch of cool prizes.